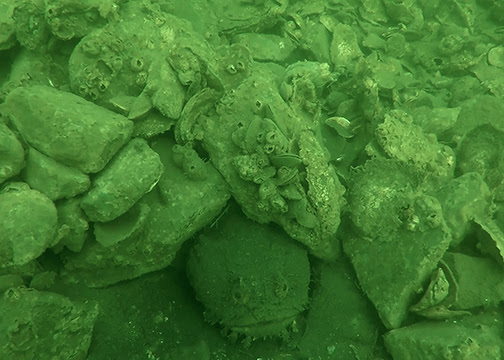 As the Oyster Restoration Field Specialist for the Oyster Recovery Partnership, I spend most of my days out on the water, seeing first-hand how our operations enhance the Chesapeake Bay on both a local and Bay-wide scale. In the summer, Captain Doug West and I go out on the Robert Lee every weekday morning. Thanks to our field crew, the boat bearing Captain Doug’s Grandfather’s name is loaded up with hundreds of thousands of spat-covered shells before I even arrive at the dock of University of Maryland’s Horn Point campus, and by 8:15 a.m. we are out on the water headed downstream to plant the oysters. 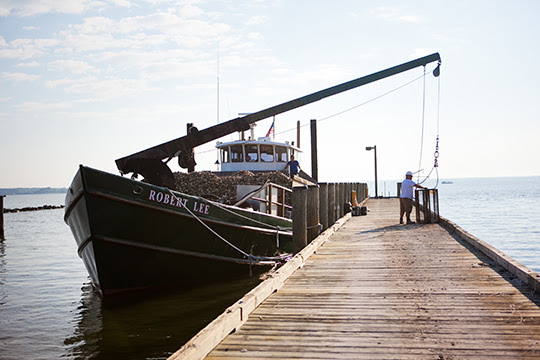 The 70-foot Robert Lee, rebuilt by the captain himself, chugs along at a steady nine knots to whichever sanctuary tributary – Harris Creek, Tred Avon, or the Little Choptank – we are planting for the day. For new sites that require restoration and haven’t yet been planted, we aim to deploy five million oysters per acre. For sites that need an additional year class of oysters, we aim for one million per acre. Each site we restore is researched, monitored and scientifically chosen. Emily French, our Marine Biologist, sends me the areas on the map of the Chesapeake Bay that ORP is responsible for planting that week. When the Robert Lee reaches the site, I load the image of the area onto the screen and we track the boat’s movements using a GPS tracker. Captain Doug sets up the pump while I prepare the computer, and when everything is ready he opens the side panels of the deck and knocks the oysters into the Bay with water pumped from the site. From April to August, four to five days a week, that is what I do: load the boat, ride to site, plant the oysters and ride back to Horn Point. Fieldwork is both exhilarating and exhausting. I won’t deny how fun it is to not have to sit at a desk every day, but I also appreciate the days I’m in my office tucked away from the weather and sun. I am often asked what I do for my job, and it’s hard to give a simple answer to the work that goes into planting oysters for the largest oyster restoration project in the world. Working for ORP is unique in the way that we engage with broad audiences, including environmentally conscious citizens, corporate partners, federal, state and local government officials, the seafood industry, retail outlets, and non-profit organizations within Maryland’s Chesapeake Bay watershed. It is both fun and meaningful to collaborate with these groups in support our mission to restore and rebuild a sustainable oyster population. 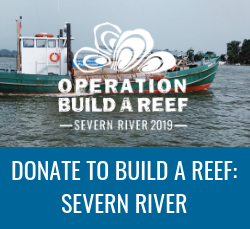 If you are planning to make a tax-deductible donation before 2017 ends, please consider joining our efforts and giving a gift that impacts the health and future of our Chesapeake Bay by making a donation below. Here at ORP we are committed to making a difference, and believe that oysters are the answer.